Provide comfort for the family of Karen Stanek with a meaningful gesture of sympathy. SEYMOUR: Karen (Ray) Stanek, age 70 of Seymour, beloved wife of Fred Stanek, entered peaceful rest on Friday, March 8, 2019 at Yale New Haven Hospital. Born in Waterbury on April 19, 1948, she was the daughter of the late Norman and Marguerite (McElroy) Ray. Karen, a graduate of Seymour High School and Southern Connecticut State University, was an accomplished teacher at Seymour High School for 35 years, retiring in 2011. She loved teaching the subject of WWII and was an expert on President Theodore Roosevelt. She would often challenge her students with her own unique Jeopardy Game. A proud advisor to the Seymour HS Mock Trial Team through the 1980’s to the early 2000’s, she helped lead the team to the state championships in 1982 and 1983, winning both. She also served as the Seymour High School Student Council Advisor. Karen was the recipient of the Distinguished Alumnus Award at Seymour High School’s 2016 Graduation. She was also the recipient of the David A. Brumer Excellence in Education award. Karen believed strongly in the slogan “Once a Wildcat, Always a Wildcat!” She was elected or appointed to and served on many boards and commissions in Seymour such as the Board of Ethics, Board of Education, Seymour Parade Committee and Commission on Aging. Most recently she was a member on the Board of Selectmen. 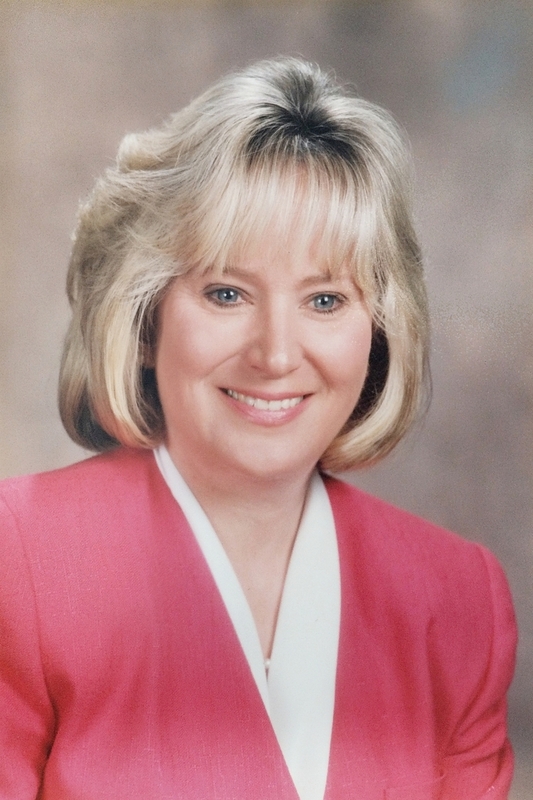 Karen was a former member of the Board of Directors of the Valley Community Foundation. She enjoyed cooking, gardening, football and loved 80’s music and music by the Rolling Stones, Def Leppard and Van Halen. But above all else, Karen cherished her family and grandchildren, who were the “jewels of her eye”. In addition to her husband of 35 years, Karen is survived by her loving children, Courtenay Fisher and her husband Ryan of Charleston, SC, David Stanek of Chicago and Patrick Stanek of Seymour; two adored grandchildren, Mason and Cady, as well as her brother, Norman Ray and his wife Ann of Seymour. A Mass of Christian Burial will take place on Thursday, March 14, 2019, at 10 am DIRECTLY in the Church of the Assumption, 61 North Cliff St., Ansonia 06401. Interment will follow in Mt. Meadows Cemetery, Seymour. Family and friends may call on Wednesday, March 13 from 4pm to 7pm in the Ralph Hull Funeral Home, 161 West Church St., Seymour, CT 06483. Memorial donations in Karen’s name can be made to The Karen R. Stanek Memorial Scholarship Fund to benefit graduating Seymour High School students, c/o The Valley Community Foundation, 253-A Elizabeth Street, Derby, CT 06418. Online donations may be made at www.valleyfoundation.org. To send flowers to the family of Karen Stanek (Ray), please visit our Heartfelt Sympathies Store. We encourage you to share any memorable photos or stories about Karen. All tributes placed on and purchased through this memorial website will remain on in perpetuity for generations. Horbal Family, Peg and Jim Healy, and others have sent flowers to the family of Karen Stanek (Ray). 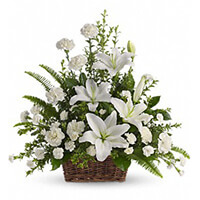 Horbal Family purchased the Peaceful White Lilies Basket for the family of Karen Stanek.